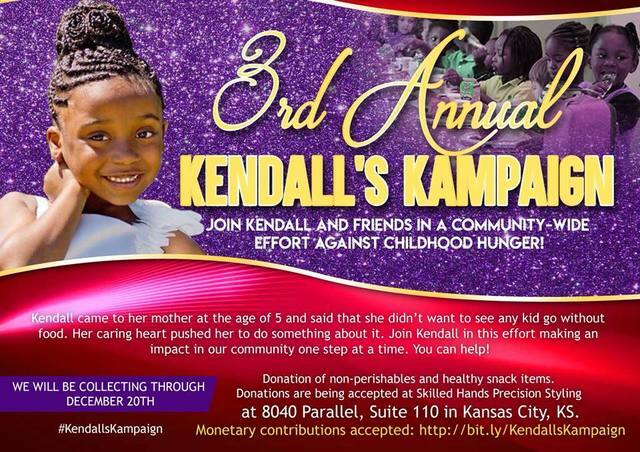 KANSAS CITY, Kan. — At 5 years old, Kendall Beason decided it was time to help hungry children in her community. “Kendall’s Kampaign” was born. “I was kind of upset that they don’t have food, so I just decided that I need to start doing this,” she said. “It has grown a lot,” said Kendall. This week, they took a carload of donated food to fill the shelves of the food pantry at Mt. Carmel Redevelopment Corporation in Kansas City, Kansas. Smart said the pantry serves more than 100 families per year and their organization does much more from housing to case management. If you would like to donate, the official “Kendall’s Kampaign” runs through Dec. 20, but the family and organization both said they continuously accept donations. The Beasons said they will now take hundreds of dollars in cash donations they received and go buy even more food for the pantry. Donations can be dropped off at MCRC located at 1220 Troup Ave. in Kanas City, Kansas. Kendall’s father also takes donations at Skilled Hands Precision Styling located at 8040 Parallel, Suite 110 in Kansas City, Kansas. The family takes donations online as well.